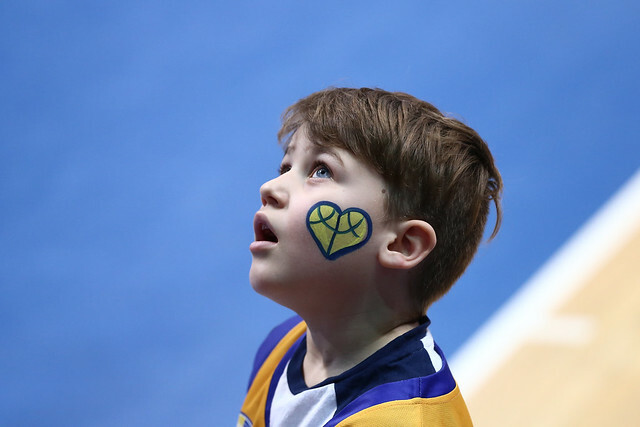 Khimki Russia defeated Astana Kazakhstan at home, 93-80 (25-23, 24-23, 18-18, 26-16). 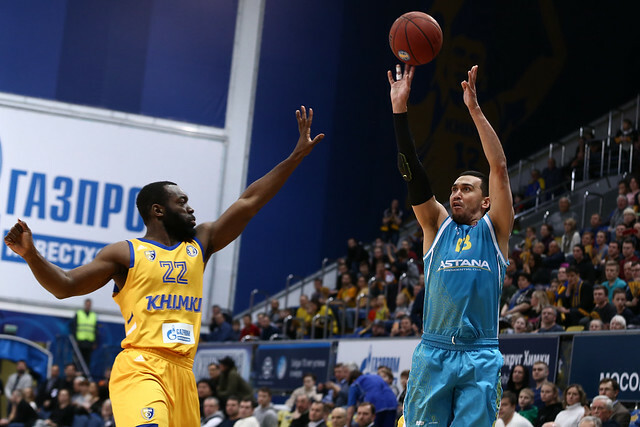 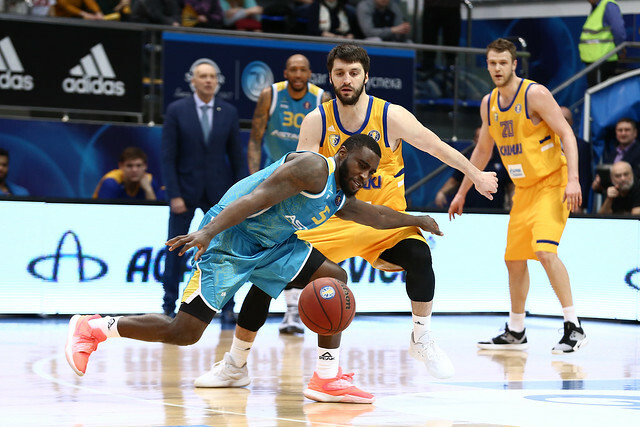 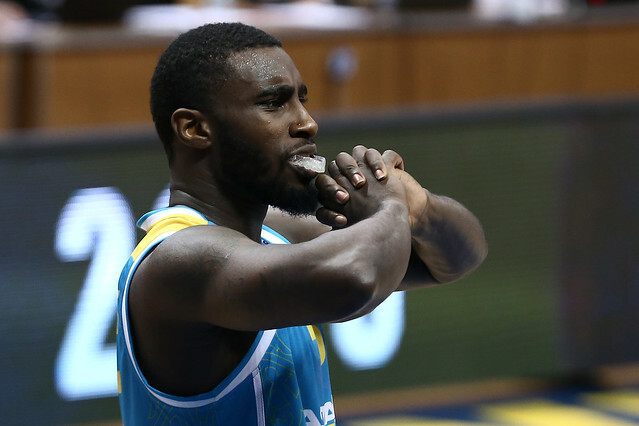 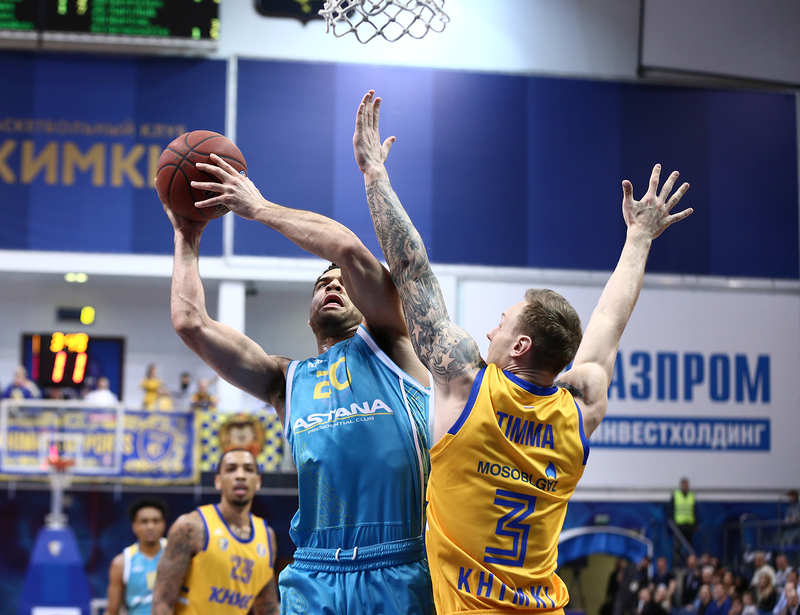 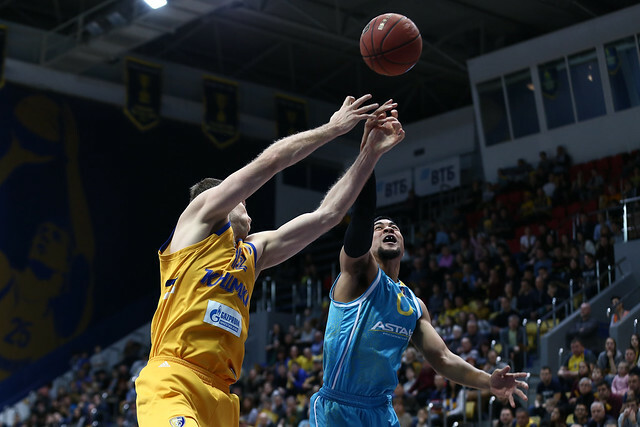 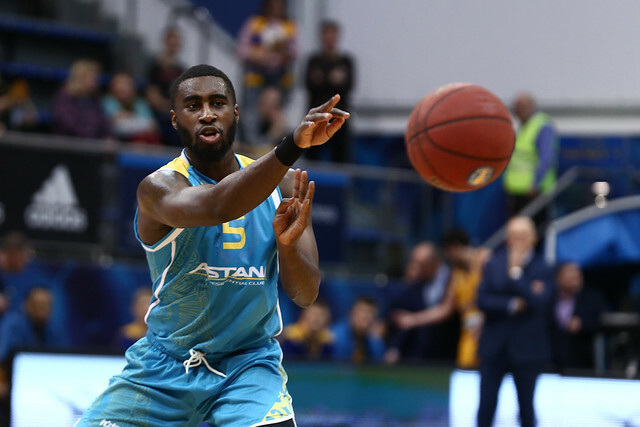 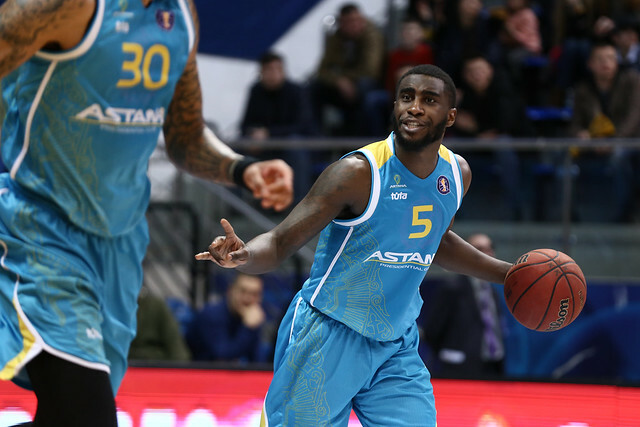 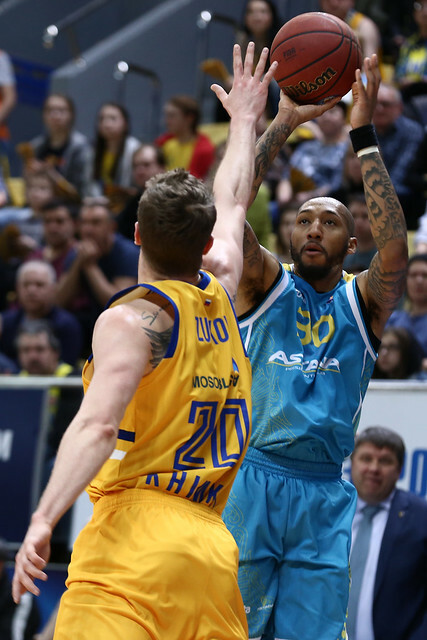 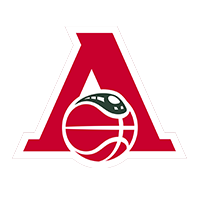 Khimki (14-5) is competing for 2nd place, while Astana (13-7) entered the game with only one fewer win. 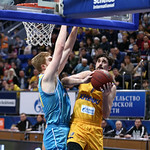 The first half was evenly contested. 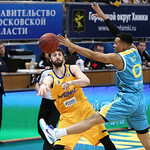 Khimki was more effective inside the paint (26-12). 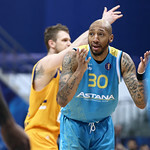 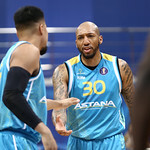 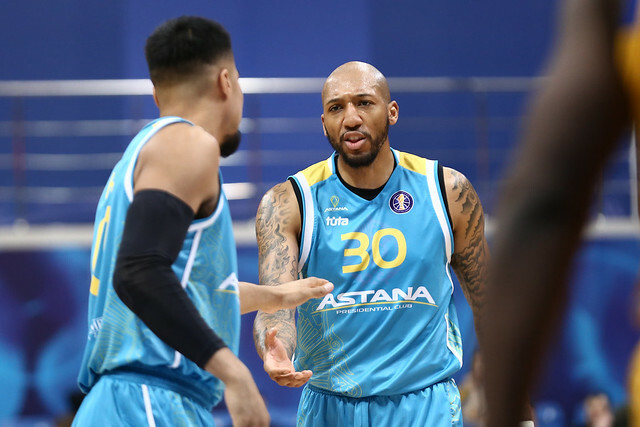 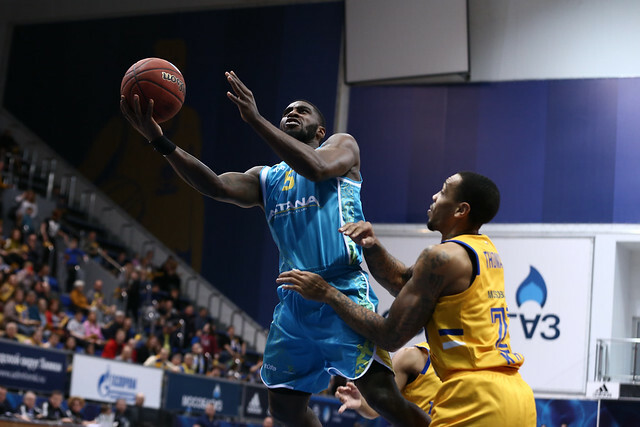 Astana did most of its damage beyond the arc (9-18). 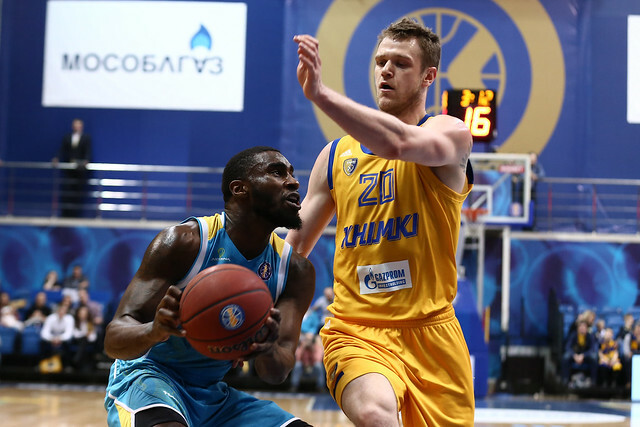 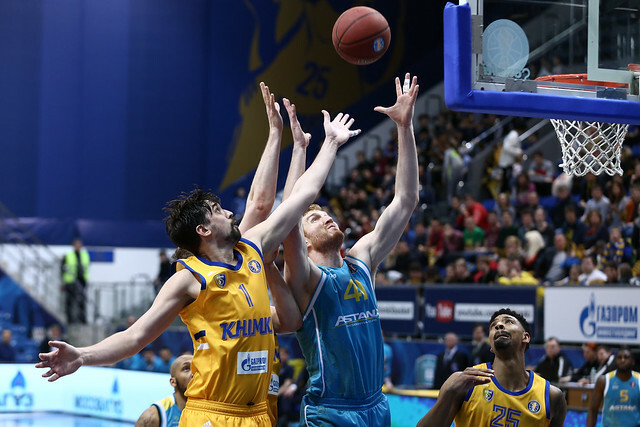 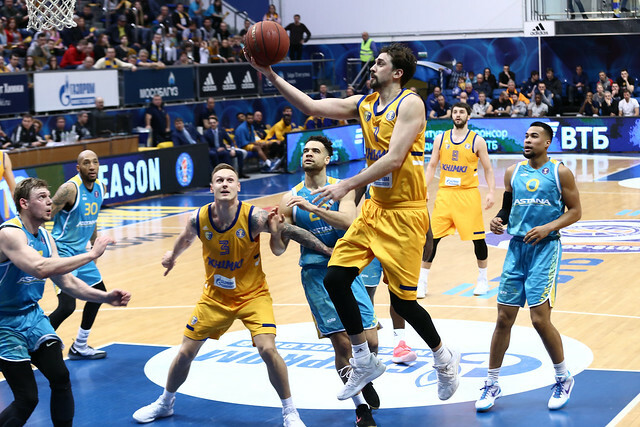 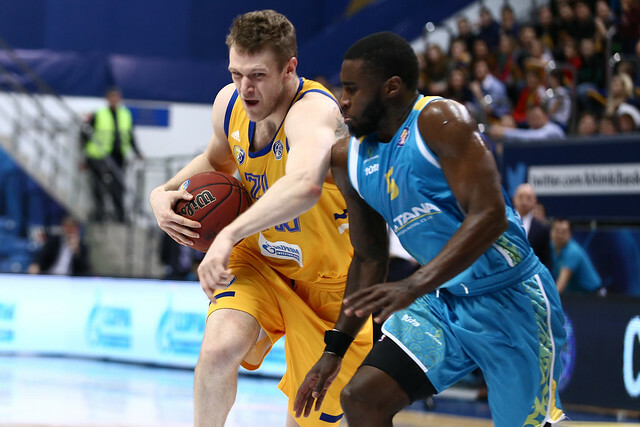 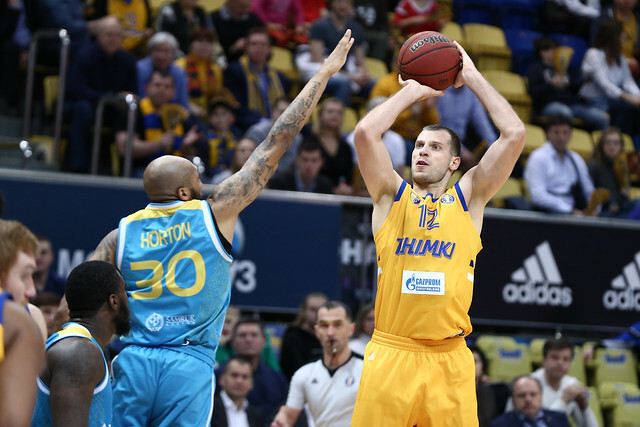 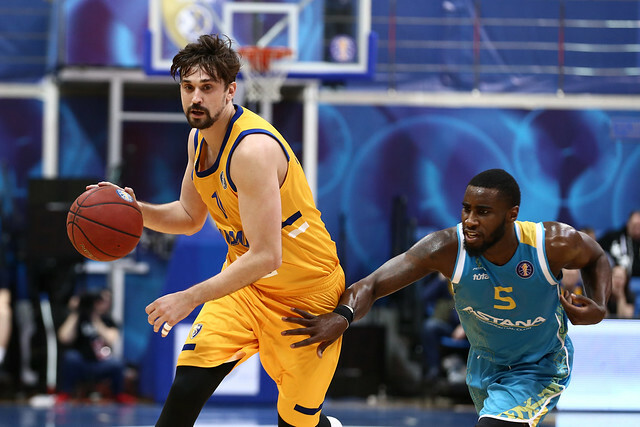 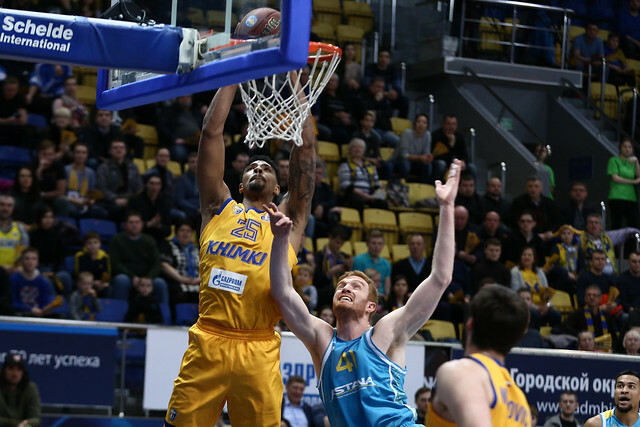 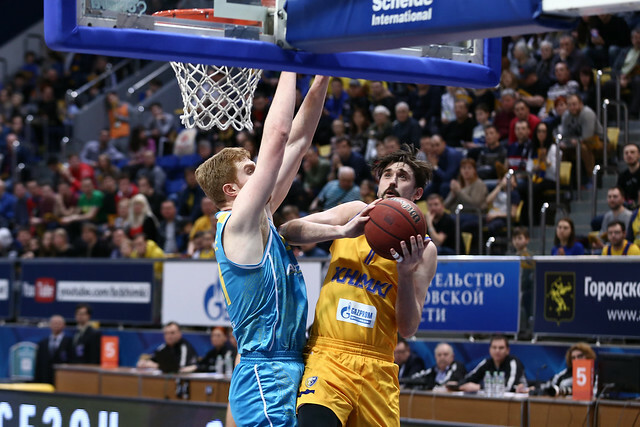 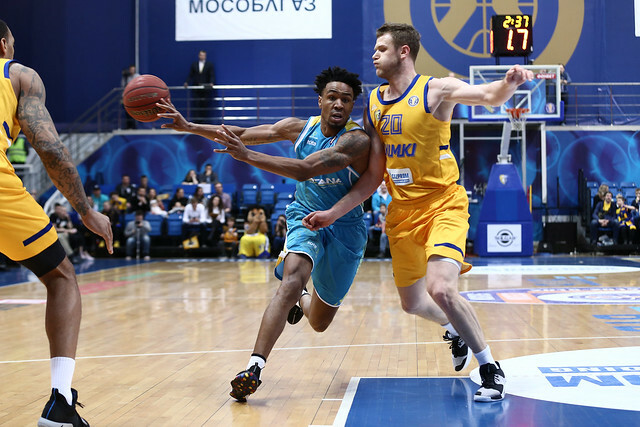 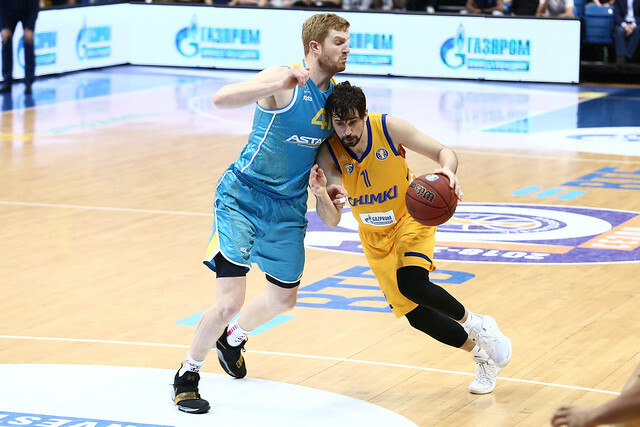 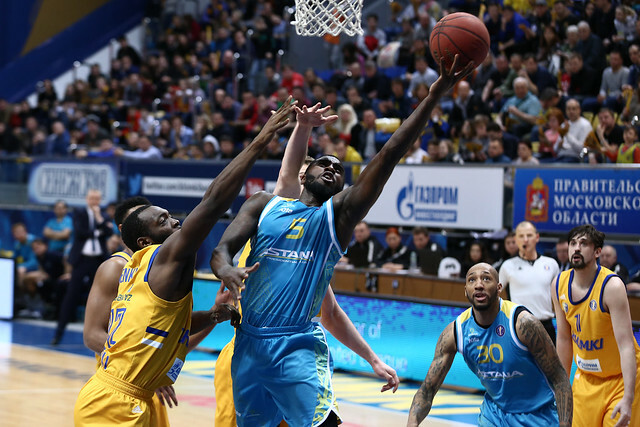 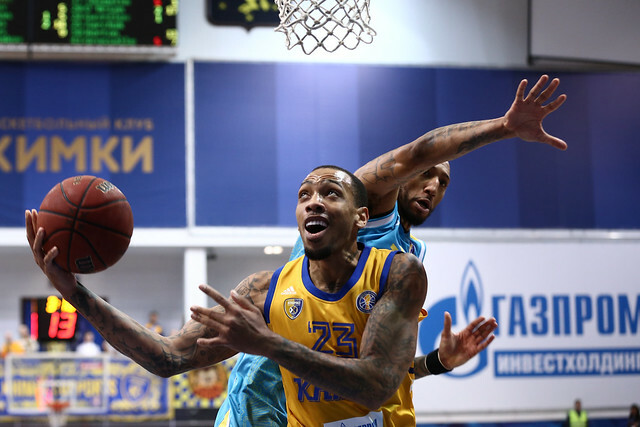 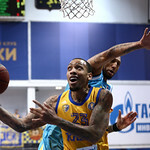 The two teams entered the break with Khimki leading 49-46. 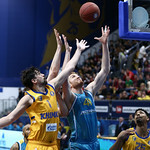 The 3rd quarter featured more of the same as neither side was able to gain a commanding lead. 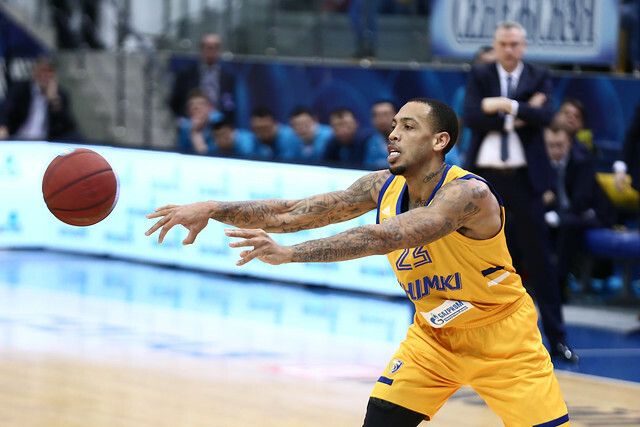 With 10 minutes to go, the home team remained on top, 67-64. 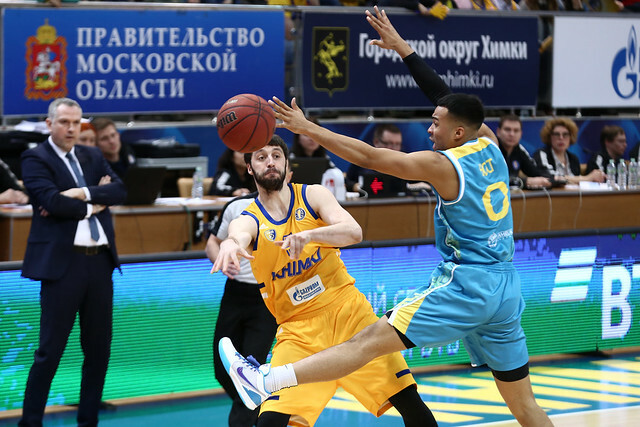 The early minutes of the 4th quarter were not pretty as both teams missed shots and threw the ball away. 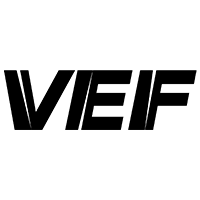 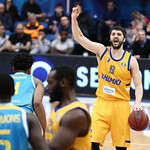 Khimki was the first to regain control. 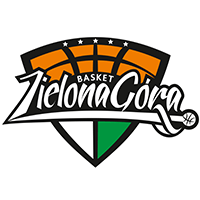 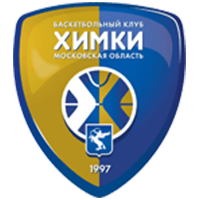 Stefan Markovic and Janis Timma sparked a 10-0 run that put Moscow Region on top, 84-75. 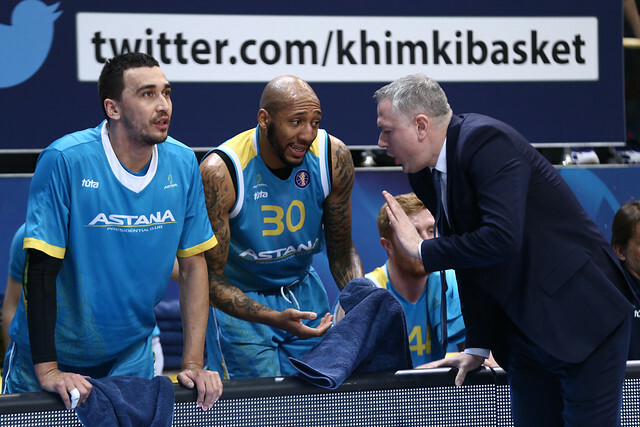 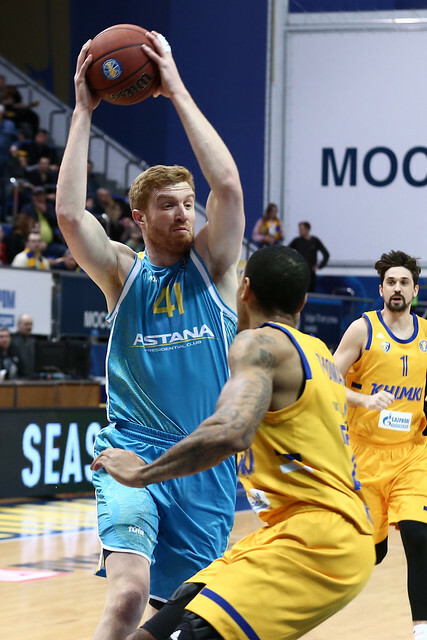 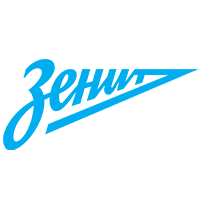 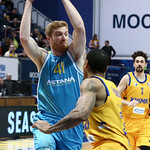 Astana was never able to respond, finishing with only 16 points in the final period. 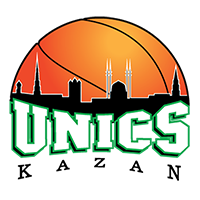 With the victory, Moscow Region trails UNICS by only one game. 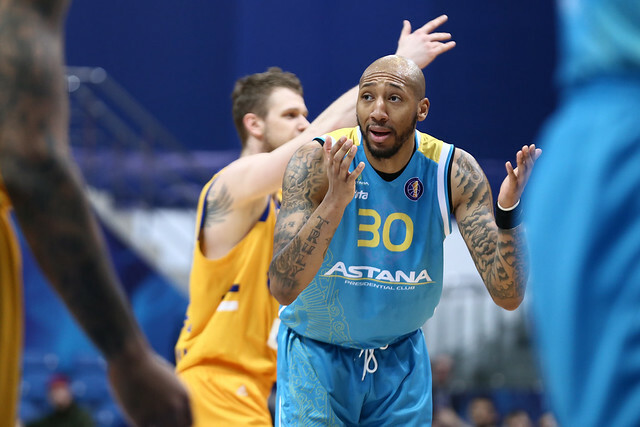 Astana dropped to 6th place with the loss and now needs to contend with a hard-charging Nizhny Novgorod (half a game back at 12-8). 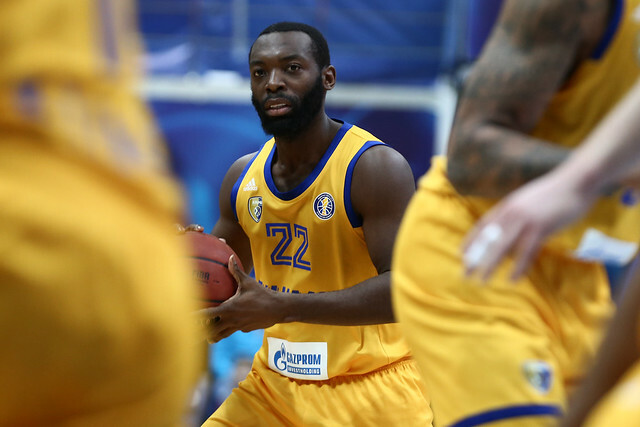 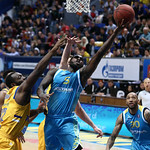 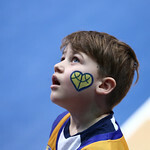 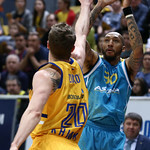 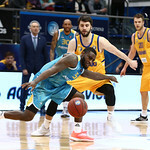 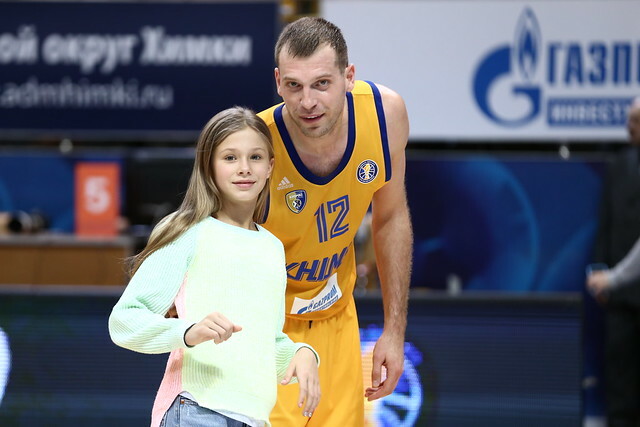 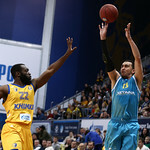 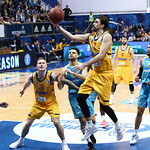 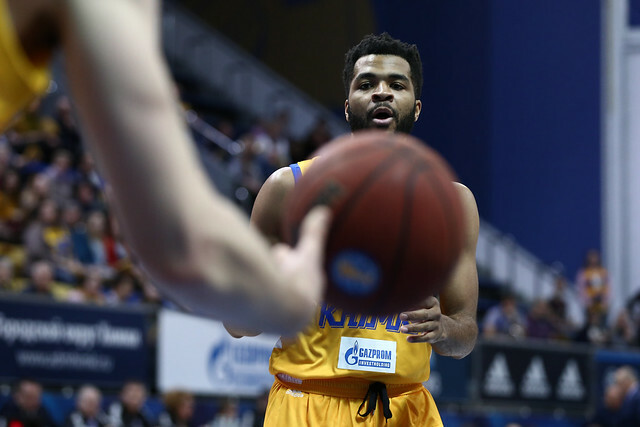 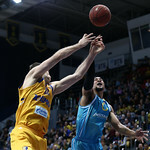 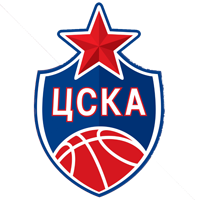 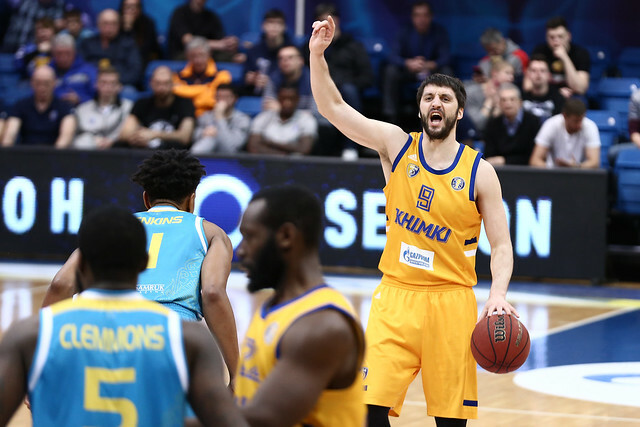 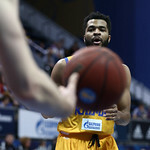 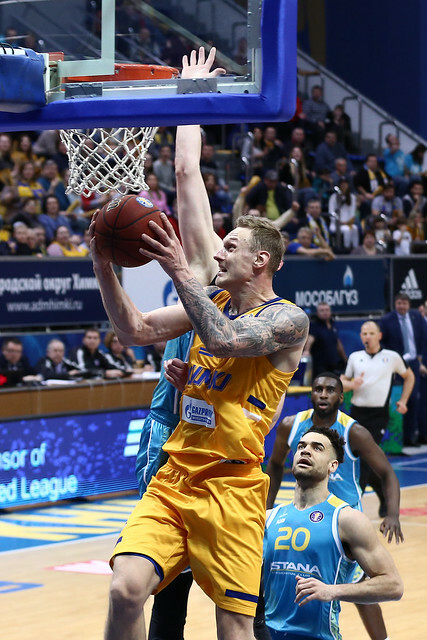 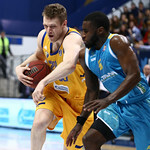 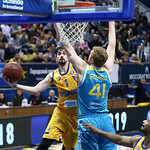 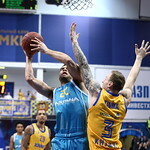 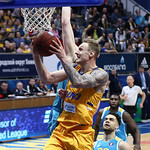 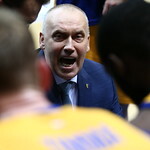 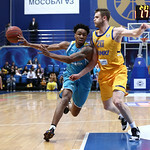 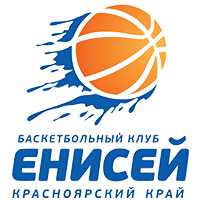 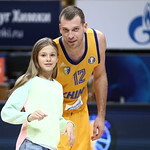 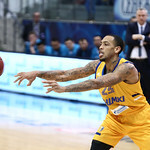 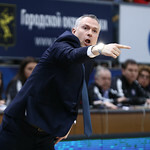 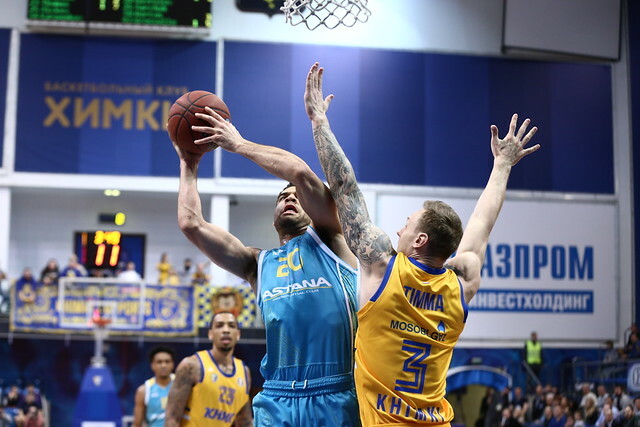 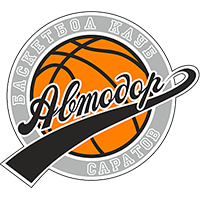 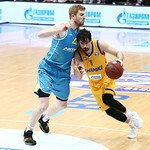 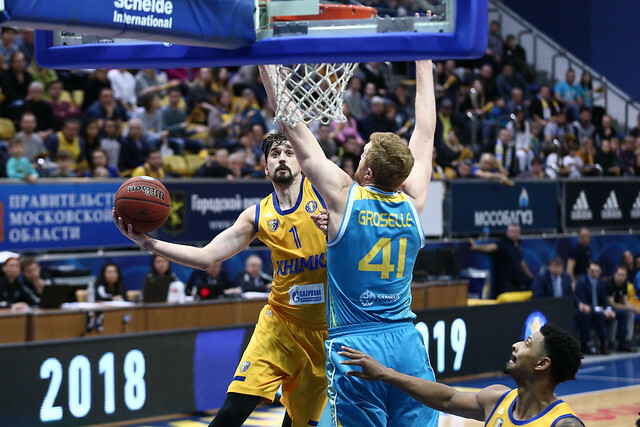 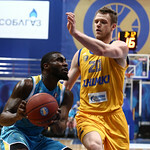 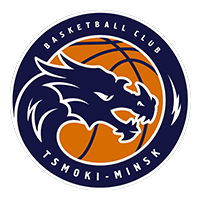 15 – Khimki’s edge on the glass (42-27). 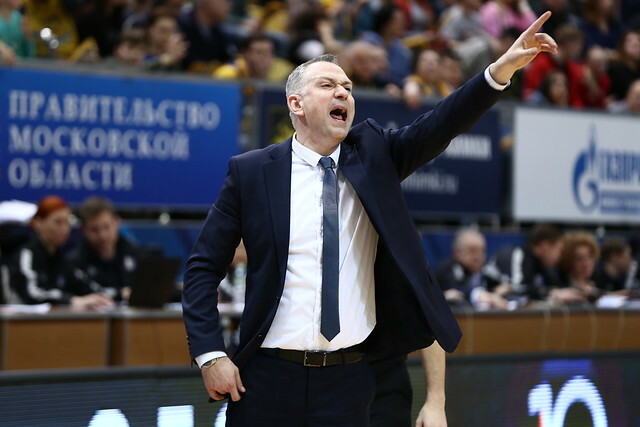 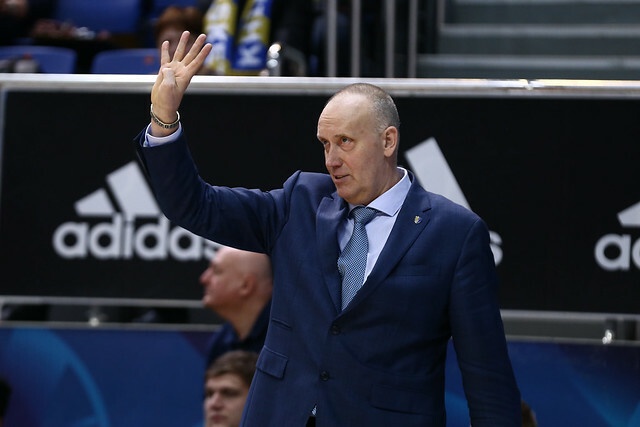 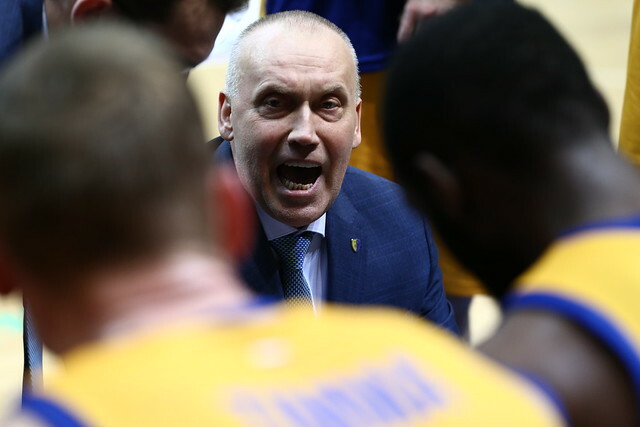 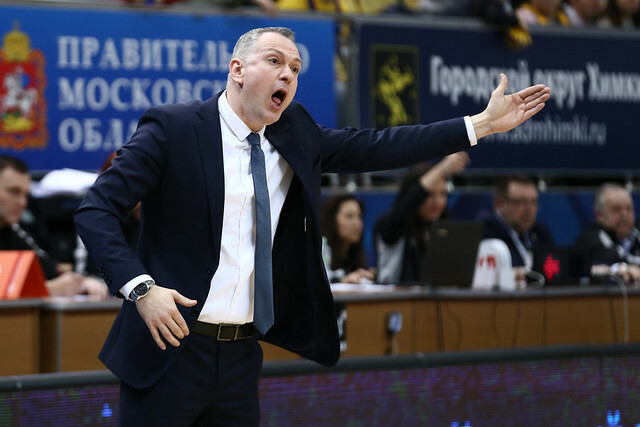 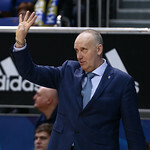 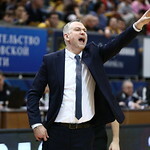 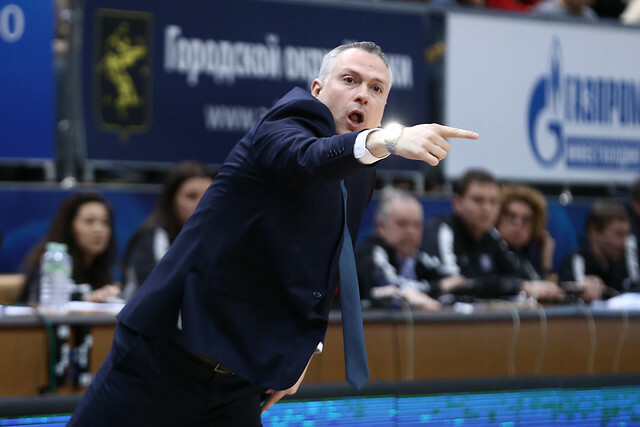 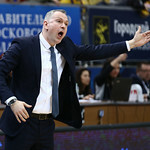 Rimas Kurtinaitis identified rebounding as Khimki’s biggest problem this season when he took over the club. 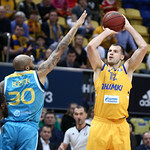 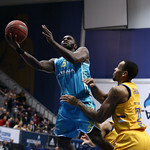 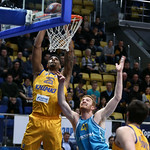 Playing against the League’s second-best rebounding team, the Yellow and Blue showed remarkable progress in that area. 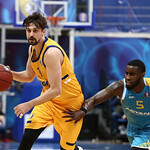 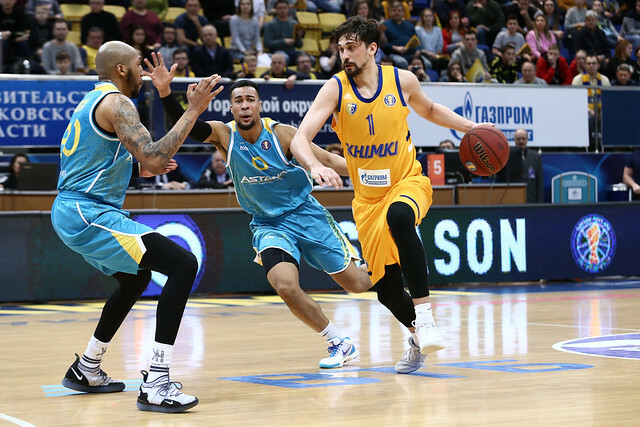 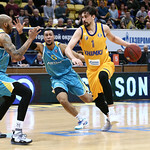 Alexey Shved. 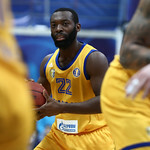 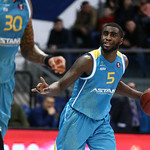 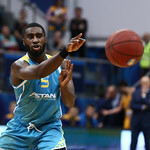 Timma (26 points) played a valuable role in the win, but the Russian guard’s all-around play: 22 points and team-high seven rebounds and 11 assists make him the star of the game.